Velour jogging suits are once again becoming a popular staple item in athleisure apparel. You can see the sleek look of this plush fabric everywhere from the grocery store to a high-end café at lunchtime. They truly are a beautiful staple item to add to your wardrobe, but is velour the right type of fabric to wear to yoga? Yogis are a little hesitant about this new trend, perhaps in part because velour jogging suits can err on the expensive side of things compared to other workout apparel. They want to know whether it is going to be worth their investment and if they will be able to practice easily in their new clothes. Here are a few reasons why you might want to rethink that velour purchase before your next yoga class. Are you prone to sweating throughout the course of your yoga class? No matter how rigorous your yoga practice is, you are likely to find that velour is extremely uncomfortable once you get hot. Unlike other fabrics that are designed to wick away moisture and breathe easily, velour tends to be thick. Much like wearing a pair of thick cotton sweatpants, velour traps all of the heat against your body and refuses to let the air through. Once your practice is well underway and the heat builds, velour doesn’t allow it to escape anywhere productive. It can absorb the water from your body, making it impossible for you to dry out or move comfortably. The extra exposure to the water might make you more prone to extreme discomfort and chafing after an hour of your yoga practice. While some materials have a great reputation for stretching and moving with your body, velour certainly doesn’t make it onto the list. This can make stepping forward into positions like a high lunge far more difficult. Consider that you will also be putting a lot of strain on the stitching of these suits if the fabric isn’t designed to move and bend with you. This can lead to unnecessary and embarrassing tearing in the middle of your yoga class. With all of these other disadvantages to velour, the reality is that working out in your velour suit might cause damage to the fabric. These expensive tracksuits might not last you nearly as long if you actually wear them to work out. Sweating can stain the fabric and cause it to age prematurely. You might even notice it start to develop an odor because it retains so much sweat from your practice. 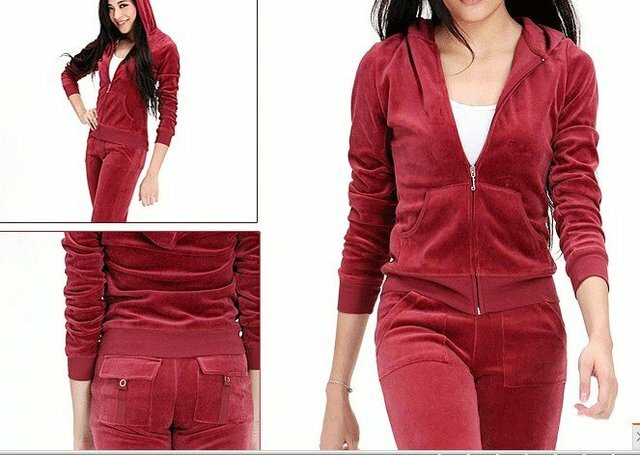 Overall, velour jogging suits can be a great addition to your closet as long as they aren’t yoga outfits. You would be better off looking for a pair of spandex yoga leggings that can move and breathe with your body throughout a long yoga practice every day. You’ll be far more comfortable and still effortlessly stylish with these standard yoga items.